2 IN 1 – Not just for repairs, use our kit to touch up and restore your items back to new! Now 4x MORE of each paint! 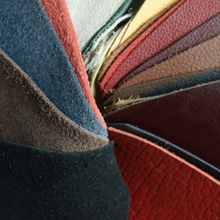 For genuine, PU, Bonded, Italian, Bycast Leather and More! If you’re looking for a product that comes with everything you need to make a full comprehensive repair that a pro would be proud of and that will save you time and money, then you are the right place. Each item in our kit has been carefully chosen by the pro's to ensure that you have EVERYTHING you need to make a full professional repair. Repair rips, cuts, burns, tears, cat & dog scratches, peeling leather and holes. 7 Non-Toxic Colors to mix shades of black, brown, cream, beige, white, cream, grey, green, purple, navy, blue, orange, maroon, burgundy, tan, taupe and more! The ends of the paint bottles have been sealed to prevent leakage. Once you receive the kit, you can cut the ends of the nibs with scissors. Please do not squeeze the bottles without cutting the nibs first. Other kits do not provide all of the necessary tools. 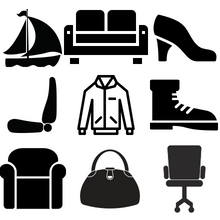 We provide everything that you need so you do not need to buy additional items. 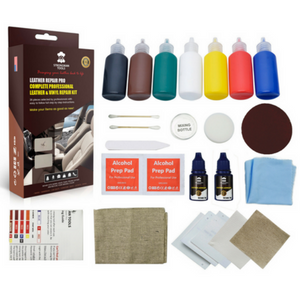 More paint, more adhesive and much more backing fabric so you can use the kit more than once! Repair in 60 minutes depending on the damage. Full instructions provided with color charts and videos. Depending on the repair, it can take as little as 3 and at most 7 steps to complete a full professional repair. 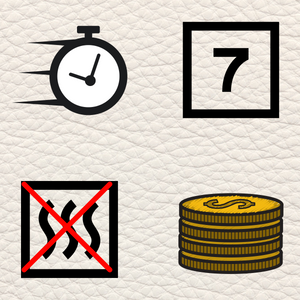 Repair your items back to new without having to pay a professional or having to replace them! 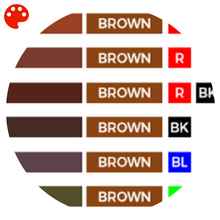 Our color mixing guide has been designed by experienced artists who have made it super simple for beginners to follow. We provide a number of repair videos to help you with your project. 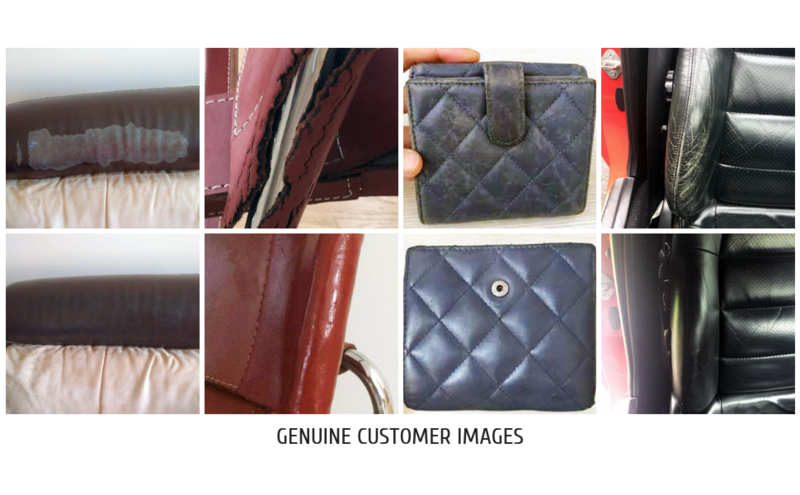 From repairing a hole, cat scratches and restoring peeling leather, we provide you with everything that you need.